Richard has spent the last few years diving at sun rise and drifting in the middle of the pacific ocean at night to photograph and document some of these little known about events. While not spending time underwater Richard likes to write about what he has learnt and been able to witness. He has published articles for Asian Diver magazine, Scuba Diver, Diver Training, Tauchen, Alert Diver, Submerge and Dive Photo Guide. Riley Elliott is a shark researcher and has a Bachelor of Science Degree with Honours in Zoology and a Masters with distinction in Marine Science. His interest in sharks started during time spent working for and then helping run the Oceans Research Great White Shark Station in South Africa. Here he learned to freedive with sharks alongside experts Mark Addison and Ryan Johnson. Riley is also a PhD candidate at the University of Auckland studying the Blue Shark. With the use of high tech satellite transmitters Riley hopes to learn more about sharks and investigate the effects of global pressure from fishing. He is currently working to address international conservational issues as the presenter of Shark Man TV. 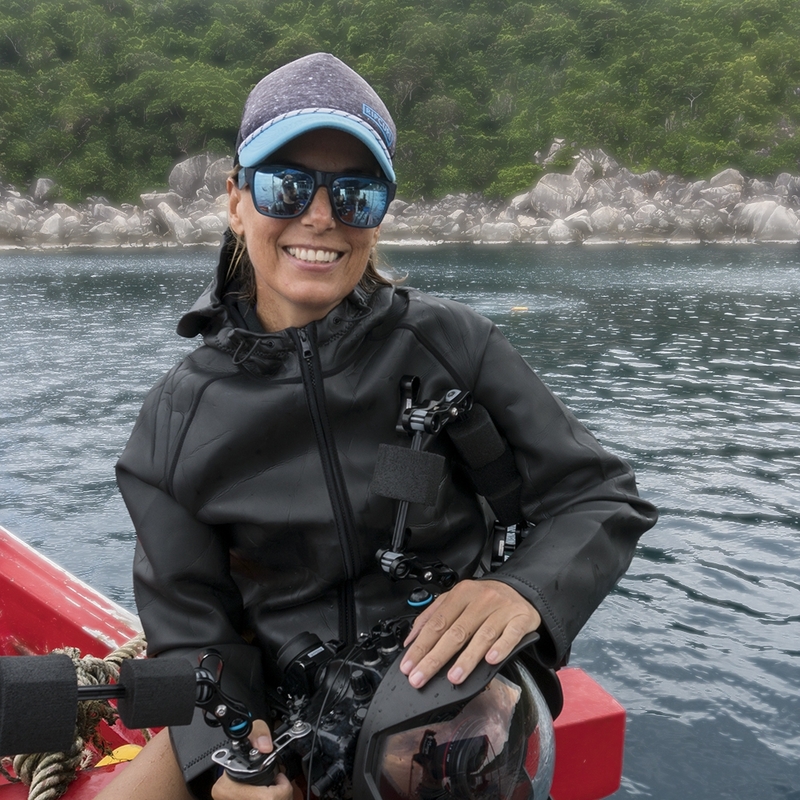 Erika is a coral reef ecologist, teacher, and CEO of the Hydrous, a San Francisco based nonprofit that uses frontier technologies like virtual reality and 3D printing to share the oceans with everyone. She conducted her PhD research on the Great Barrier Reef, where she investigated the effects of warming temperatures on coral reef ecosystems, and enjoys translating scientific discovery into public understanding. Believing that education and technology change the world, she is using both to demonstrate why marine environments are worth protecting. Jero Prieto is the founder and Board Director of Pelagic Life an NGO dedicated to protecting open ocean marine life in Mexico. Jero is the director of the award winning documentary film Mexico Pelagico. He has worked with National Geographic and Discovery Channel to bring pelagic life to the screen. As a scuba instructor and expedition leader he also strives to bring the ocean closer to the public with the effort to make pelagic species be worth more alive than dead. With background in engineering from ITESM and business administration from Northwestern Kellogg School of Business he is constantly working to bring realistic solutions to protecting open ocean marine life. A detailed cinematic list of Bobby’s work can be found here at his IMDB page. Kathryn Berry is a marine biologist (PhD), whose research focuses on the impacts of pollution on coral reefs. Her current projects include baseline quantification of microplastic contamination in coral reef environments in Australia, Maldives and Myanmar. Winner of The Nature Conservancy Conservation Award, Kathryn is passionate about ocean education and communication. 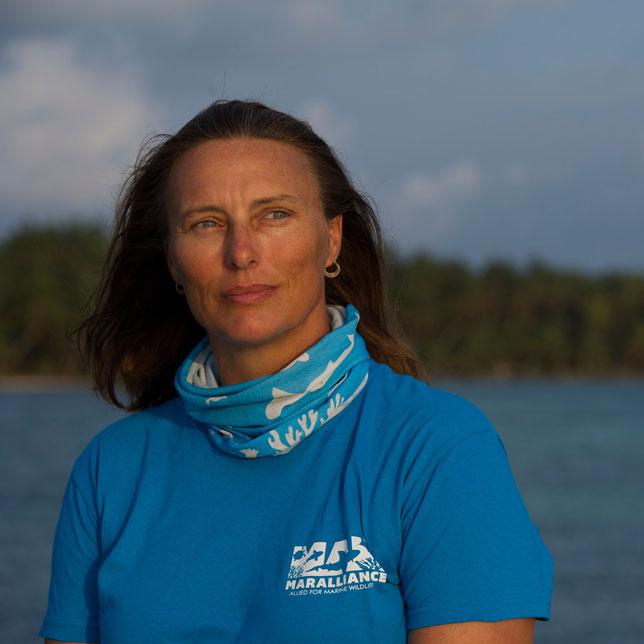 She actively promotes powerful messages about ocean conservation and is frequently a guest speaker in high school science classrooms, inspiring young learners about plastic pollution mitigation and ocean stewardship. Mark is a wildlife filmmaker, cameraman and editor. He has worked on projects for BBC, DisneyNature and National Geographic, and works closely with Emmy Award-winning cinematographer Rick Rosenthal of Wild Logic LLC producing wildlife documentaries for international broadcast. While much of Mark’s work-life is spent underwater, he also builds and flies custom octocopters for cinema-grade cameras. With a background in ecology and research, he focuses on capturing rarely seen behavior and stories of the natural world. Ka‘ilikea is a marine conservationist from Hawai‘i. He specializes in indigenous ecological monitoring and traditional ecosystem-based resource management techniques. His work ranges from program development & capacity building to field monitoring & ecosystem restoration. Currently he works as a Community-based Marine Management Trainer for the State of Hawai‘i’s Division of Aquatic Resources and as a Coral Reef Management Fellow for NOAA’s Coral Reef Conservation Program. He holds close to 4,000 hours spent underwater on SCUBA alone with over 11 years’ experience teaching recreational, rescue, and scientific diving. When Kaʻilikea isn’t underwater or working with communities, he can be found surfing, fishing, paddling, or sailing traditional canoes.